It's not easy being Welcome Comfort-a foster child always moving from home to home and getting picked on by the kids at school. Even Christmas, the most wondrous time of the year, isn't so wondrous for Welcome, since he has no family, no presents, and no Santa Claus. But when Welcome meets Mr. Hamp, the school custodian, he finally finds a friend. 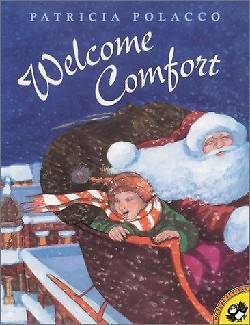 And when Christmas comes around, Welcome is taken on an extraordinary adventure that changes his life forever. "Sentimental but appealing, the story of a special inheritance is illustrated with lively pictures wrapped up in cheerful Christmas colors."